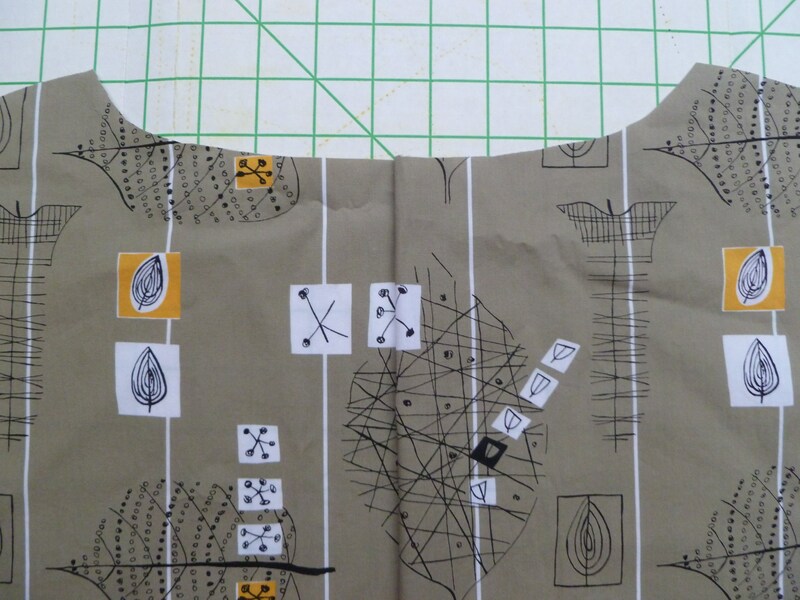 June | 2014 | cut it out, stitch it up! During Me Made May it became obvious I was missing skirts from my me made wardrobe. I had in mind a silhouette of a knee length full skirt. 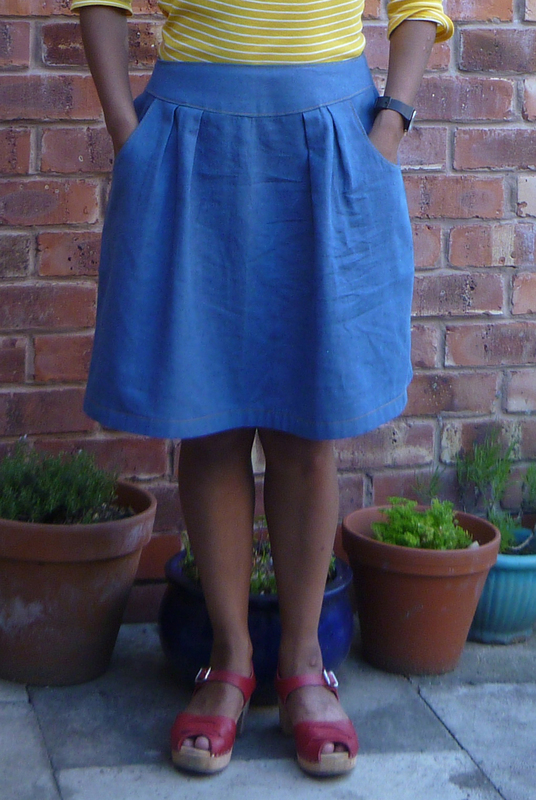 The fabric is a soft denim that I bought from John Lewis at £16 per metre. 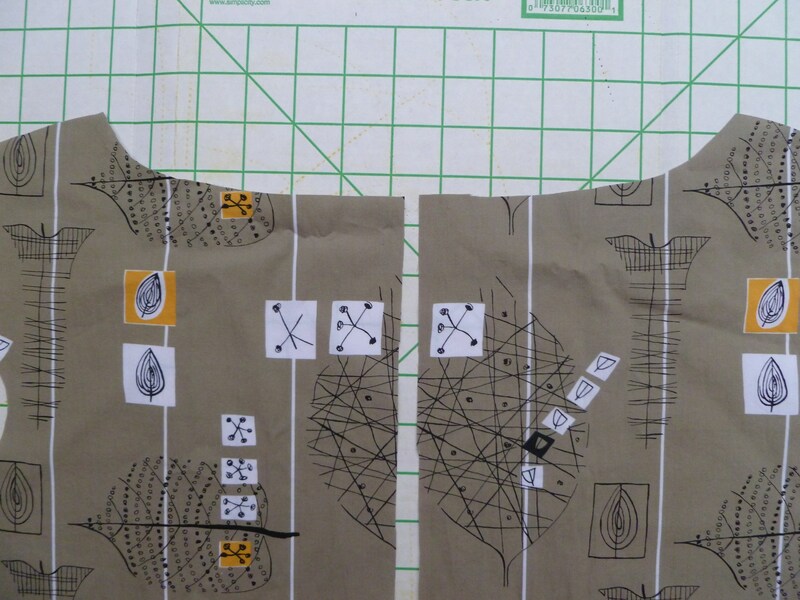 The contrast is a quilting weight cotton that I had in my stash. 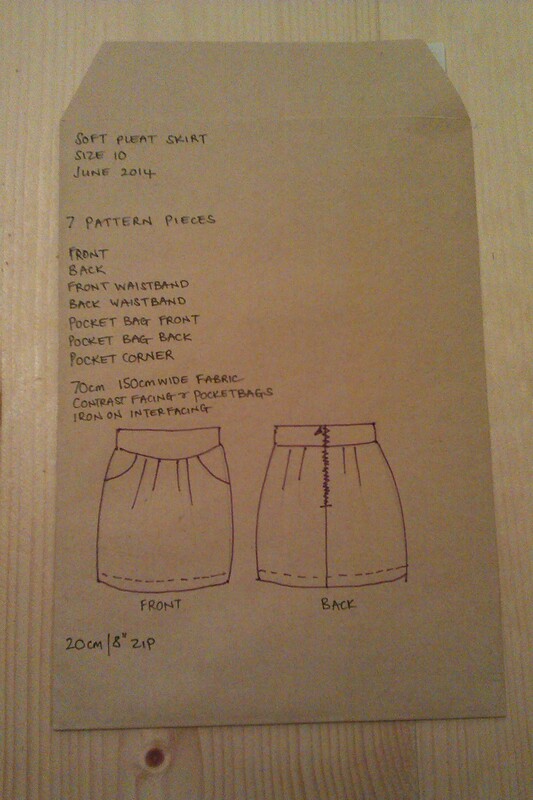 I drafted a skirt to use the full 150cm width of fabric and managed to get it out of just 70cm of fabric. 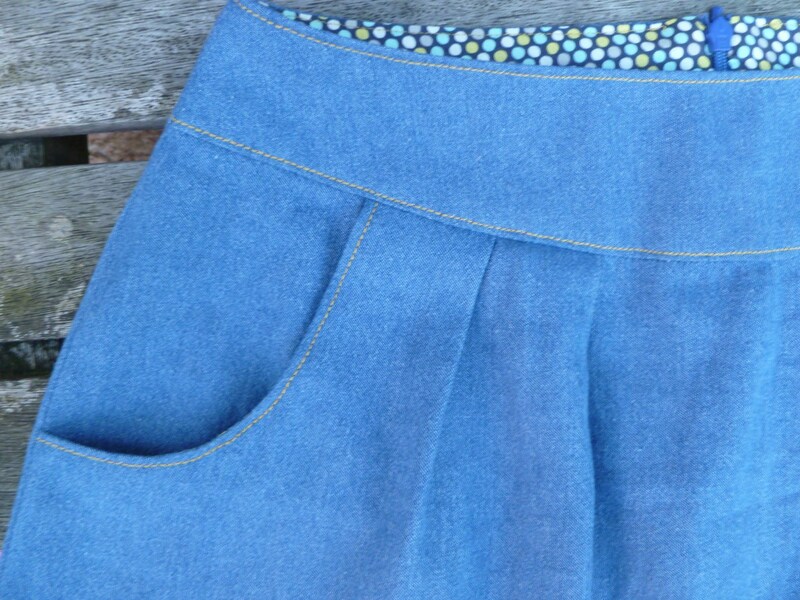 The waistband is a shaped yoke style and the skirt was pleated on. 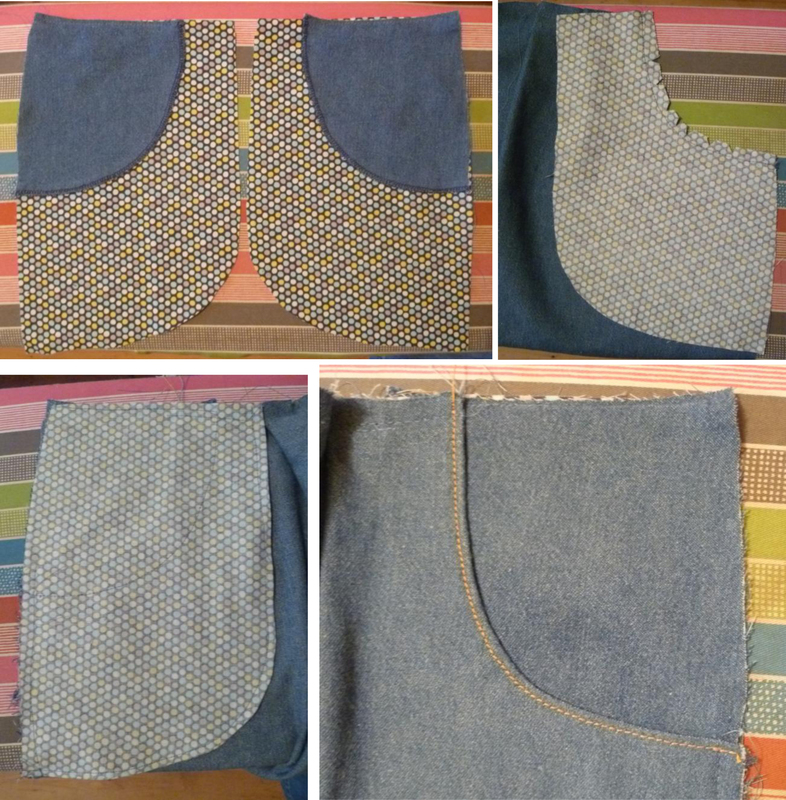 I added front pockets with a contrast pocket bag – I love making this style of pocket, I find it very satisfying! 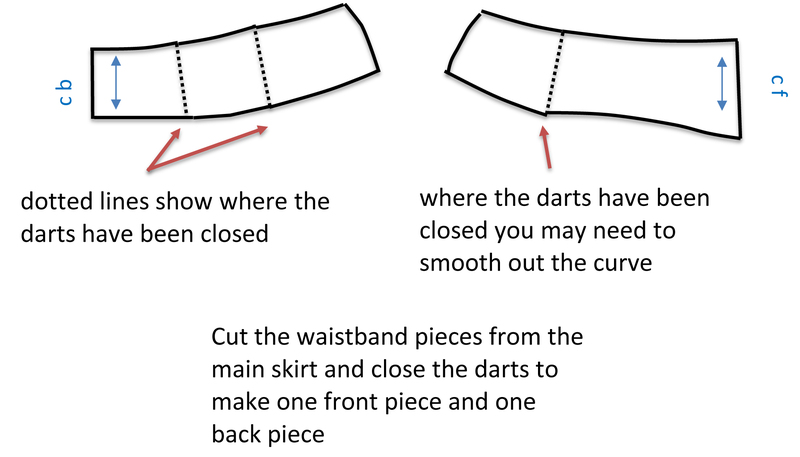 The skirt closes up the centre back with an invisible zipper. 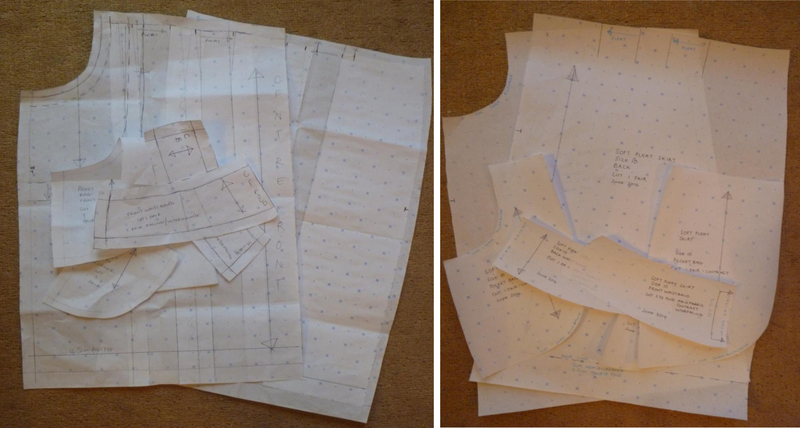 I bought the zipper for a £1 at the local Fancy Dress shop, it’s recycled as the lady who runs it does alterations. 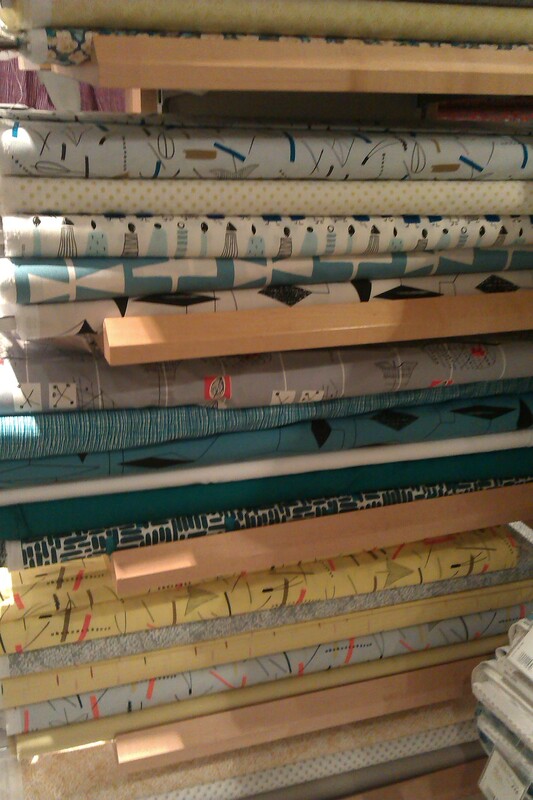 I forget that she also sells haberdashery and it’s an alternative to my usual hang out. 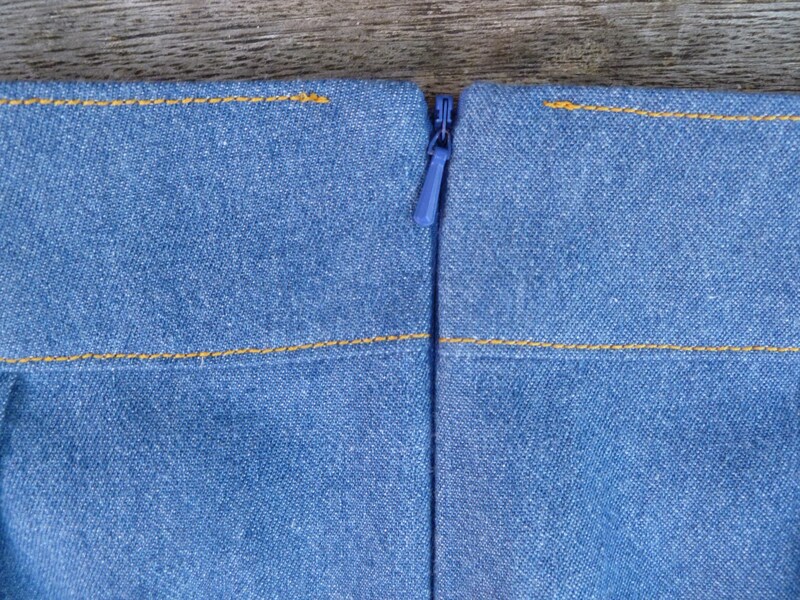 I didn’t take the top stitching all the way to the zipper along the top edge as these areas were quite thick. 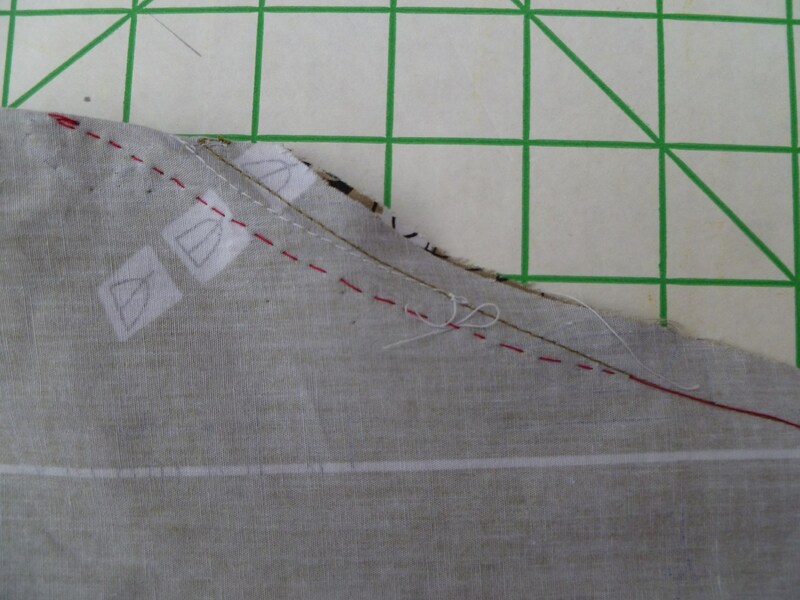 Top stitching + thick seam allowances = dodgy stitches and broken needle, well for me anyway. 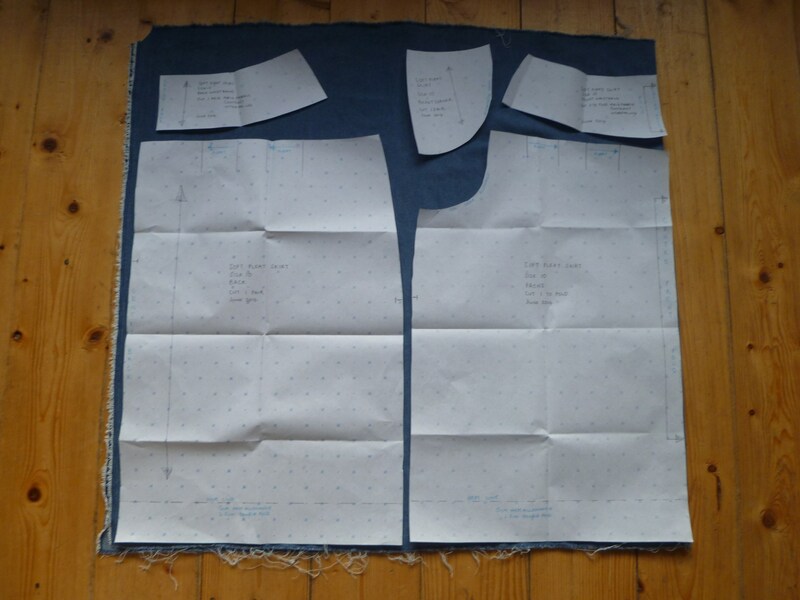 I went for contrast pale orange top stitching thread following all the tips I learnt when making a denim shirt last autumn. 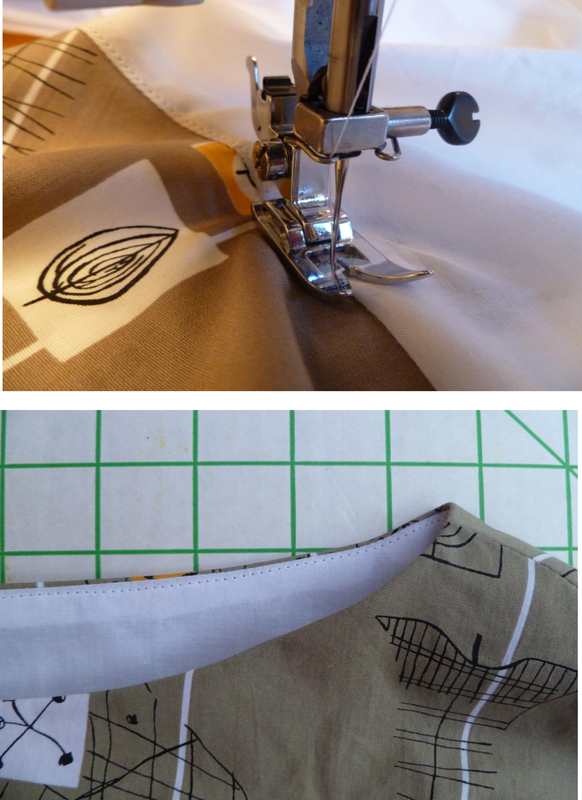 Correct topstitching needle – check! 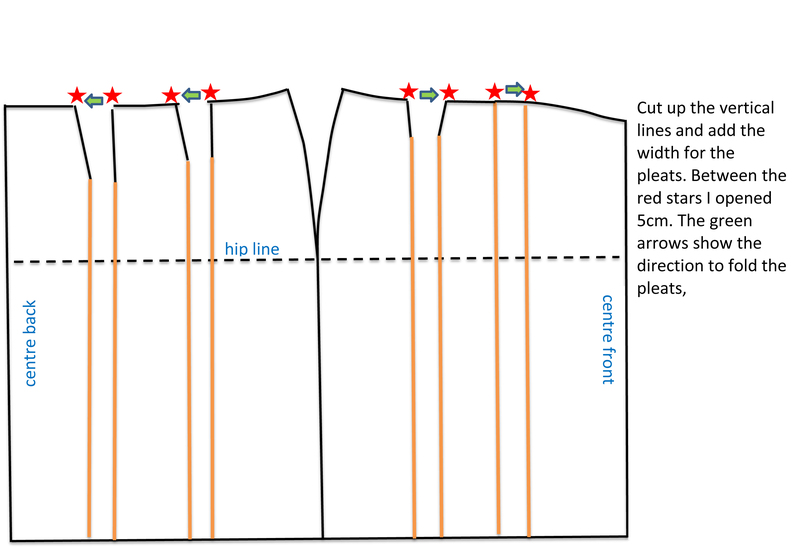 Get the tension right – check! 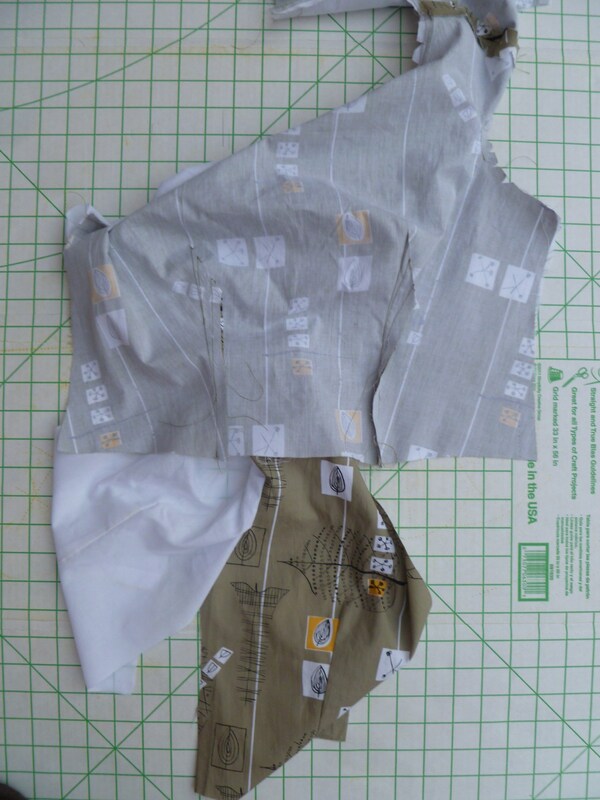 Use standard thread in the bobbin – check! 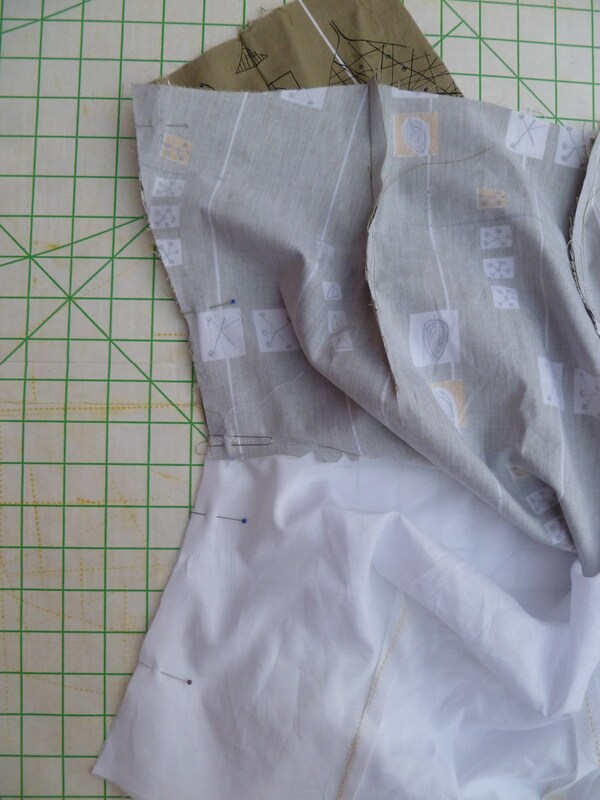 I also used the contrast fabric for the inner waistband, I hand stitched the bottom edge down with small slip stitches. 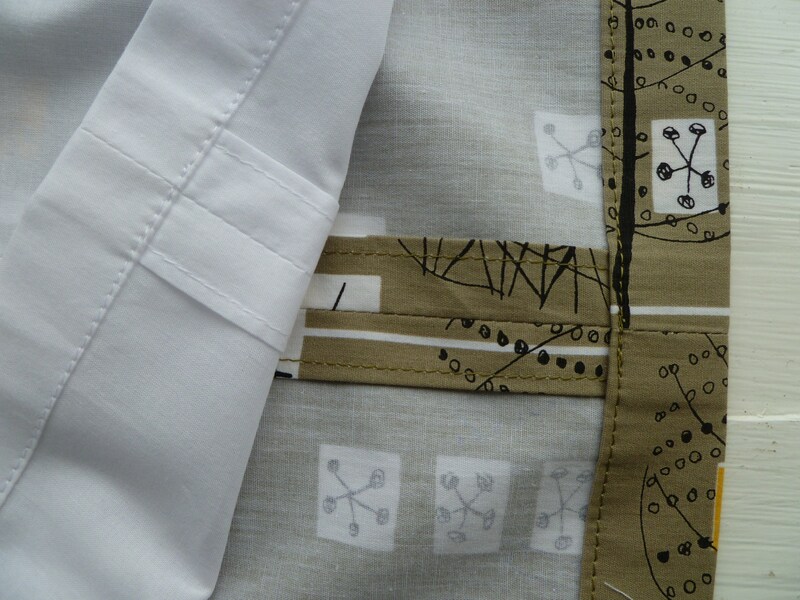 I stitched it up over 3 evenings this week and wore it to work today (that’s why it’s a bit creased in the photo). 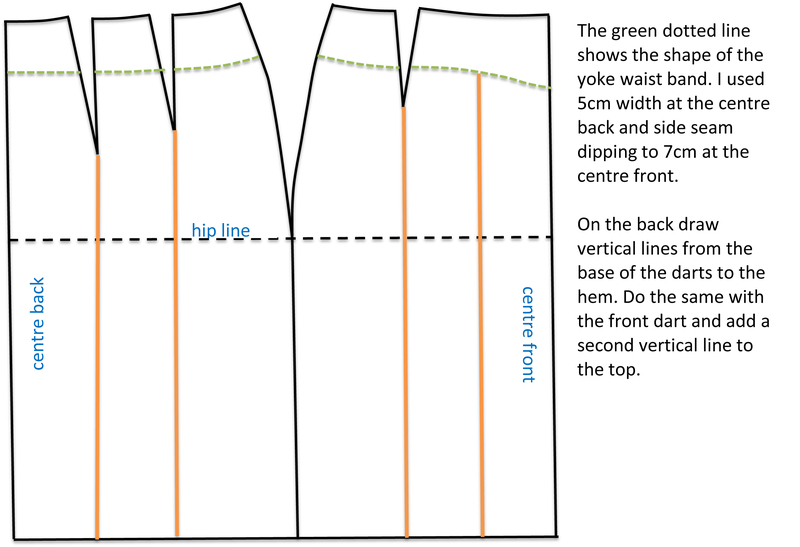 My only issue is that the waistband could have been closer fitting. 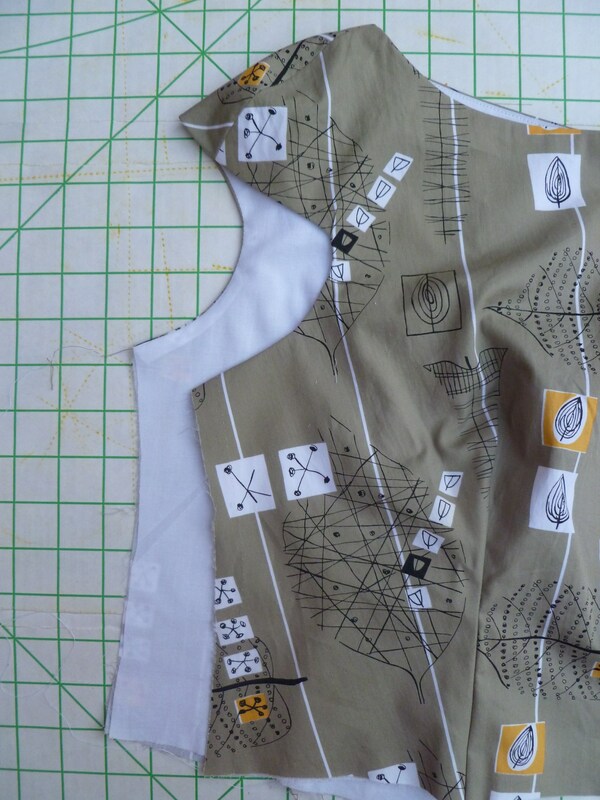 I did make a toile and noticed this at the time but then forgot to do anything about it…doh! 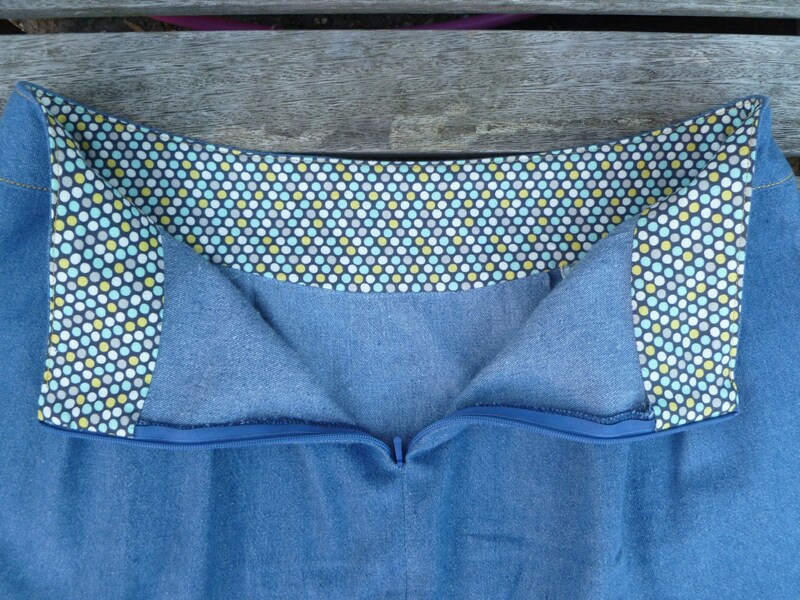 I did think about adjusting it before I faced the waistband but I would of had to unpick the top of the side seams and the top stitching before taking the waistband off and it all seemed too much. It’s not a bad fit at all, I’m just being over critical. 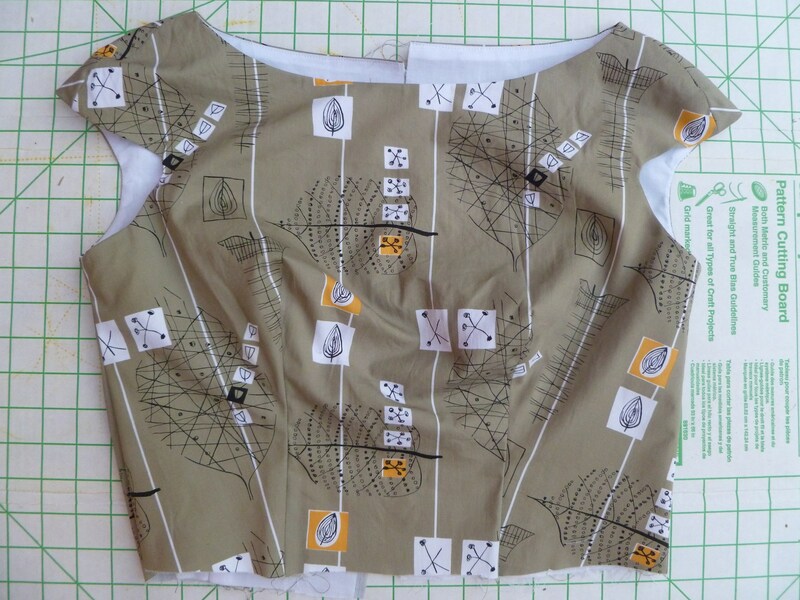 I love the overall shape and I’m going to adjust the pattern so next time I get it right! 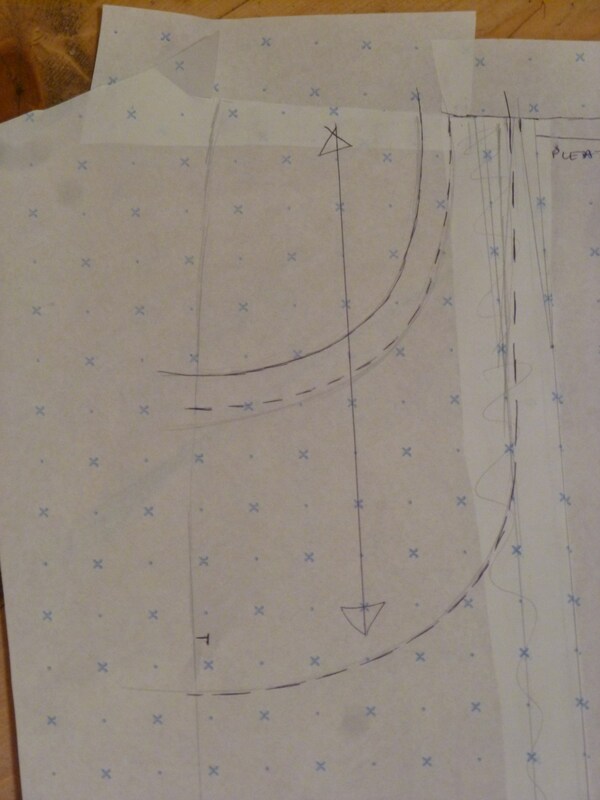 It’s a simple pattern to make from a skirt block, I’ll do a separate post about drafting. I finally got round to the second sock in the pair that I started in early April. I was learning to do a short row heel. The heel of the first sock was just about OK but I could see that I needed to tighten up my tension as the stitches were a bit loose. So when knitting the heel of the second sock I took extra care to keep the yarn tight and it’s worked. Take a look at the photo, you can see difference between the two heels. I did think about unravelling the first sock but in the end I stitched up any loose areas. The yarn is Regia Mix It! Color , I just love the pattern it creates. What I like so much is that on the second sock there is no measuring, just follow the pattern of the first sock – well, as long as you remember to start the second sock in the same place in the yarn! 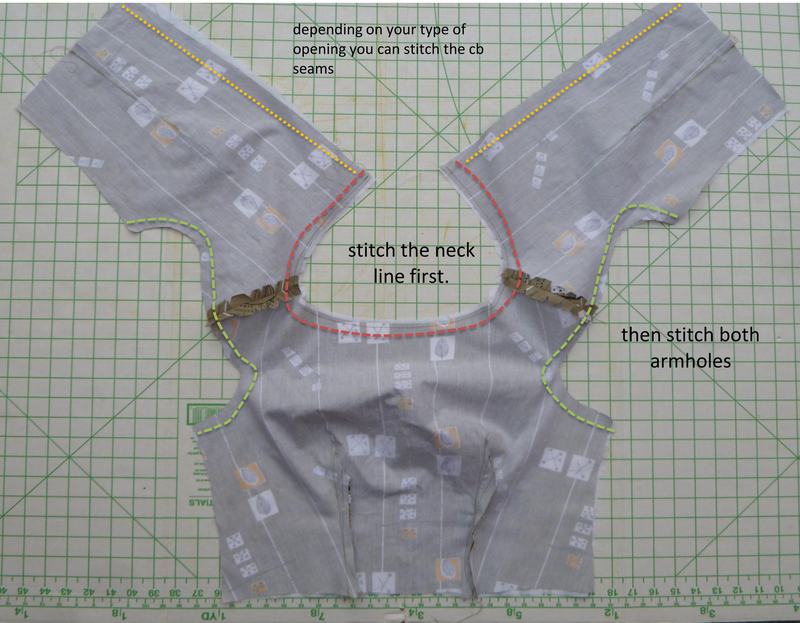 The body is just stocking stitch with 10 rows of 1 x 1 rib for the cuff. 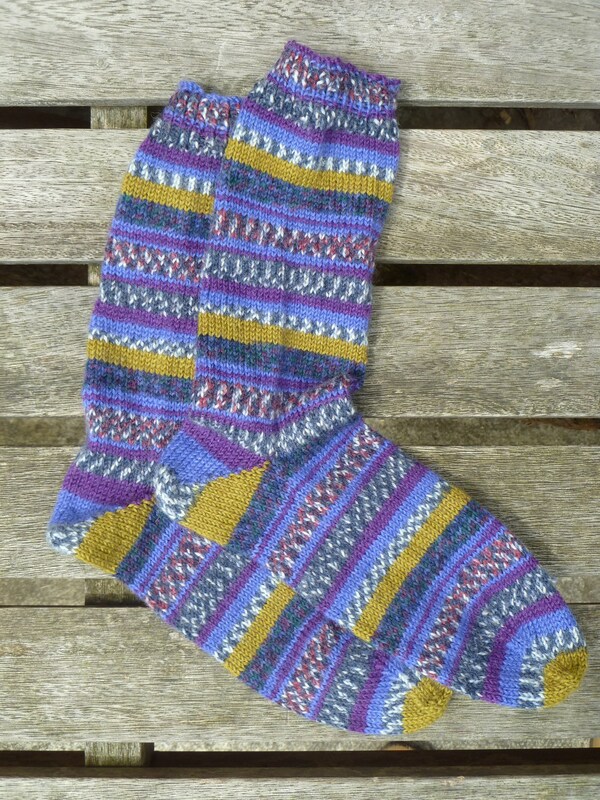 I used this tutorial from www.cometosilver.com for the instructions for knitting the short row heel. I really recommend this as the instructions are so clear with great photos for each step. 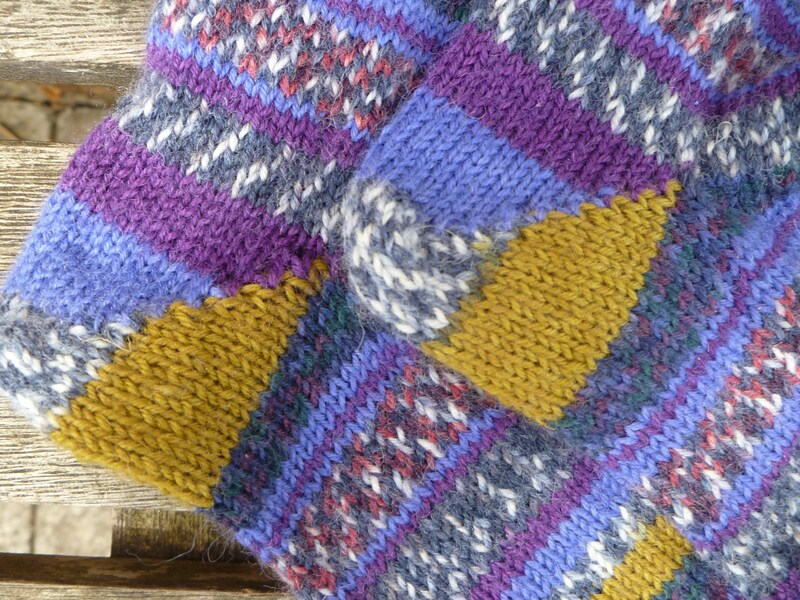 At the moment I’m favouring the short row heel over the heel flap and gusset method. 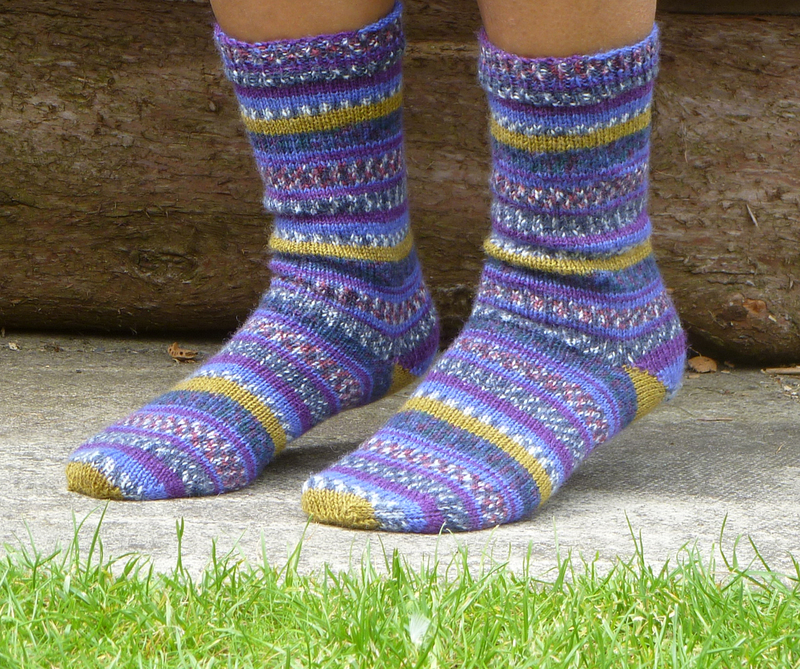 woolly socks, a bit warm for a sunny day in June! It’s not really woolly sock wearing weather (well today anyway, tomorrow could be a different story) so my feet were pretty warm taking the photo! Hopefully we’ll have a good summer and I can get them out to wear in the autumn.